After an exciting year of holiday taking and creating new holidays, the new Headwater brochure is almost ready to roll off the presses and will be distributed to far flung parts of the UK in the coming few weeks. New additions to the Headwater portfolio include a spectacular new walking holiday in Cuba that takes in beaches, jungles, waterfalls and amazing UNESCO landscapes and cities, all to an irrisistible Cuban salsa beat! Next is a superb week walking around Lake Como, staying a selection of quirky family hotels and waterfront properties, offering some wild walking, glorious villas and stupendous Alpine views. Also in Italy, you can walk along the Via Francigena all the way from Orvieto to the outskirts of Rome. You pass along Roman roads and farm tracks, through villages next to supervolcanoes that are famous for miracles and witchcraft. Cycling in Holland also features for the first time with caramel smooth cycling paths between gorgeous historic towns rich with seafaring history and colour, where canals, windmills and fields of flowers await you. 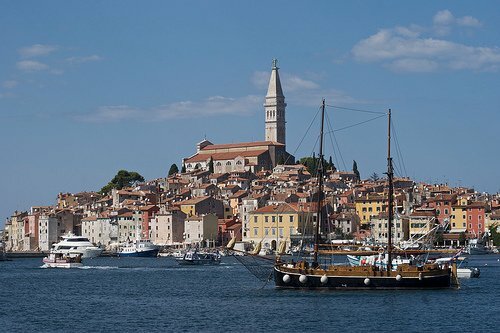 France’s fabulous coastline offers superb walking in the region of Les Calanques – emerald fjords of shimmering sea between Marsailles and Cassis, while our new cycling holiday on Croatia’ s Istrian peninsula (pictured) is a gem, with swimming opportunities every day, and lots of relaxing waterfront dining on offer. Look out for the brochure coming your way soon. With the clocks just going back and dark nights closing in, it is never too soon to be thinking about where to go in 2012!